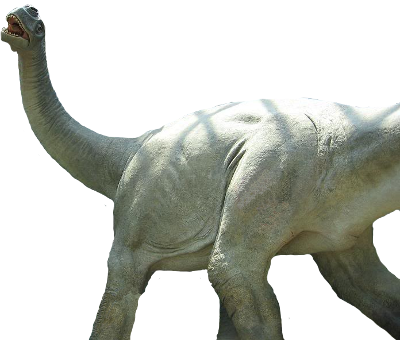 Dinosaurs were the largest creatures to roam the Earth many years ago. The question is what happened to them? The Bible says in Exodus 20:11 “For in six days the LORD made heaven and earth, the sea, and all that in them is”. This includes all the dinosaurs. There are three different types of dinosaurs. This tyrannosaur probably died in the flood but two of each kind of dinosaur went on the ark. In the beginning God made a perfect world, but man chose to disobey God and sin against Him (Genesis 1-3). After many years man was so evil that God destroyed the world with a global flood. All the land animals and many sea animals died in the flood, and many of them were buried in mud (Genesis 6-9). This is why we find dinosaur fossils all over the world today. Not all of the dinosaurs died in the flood. 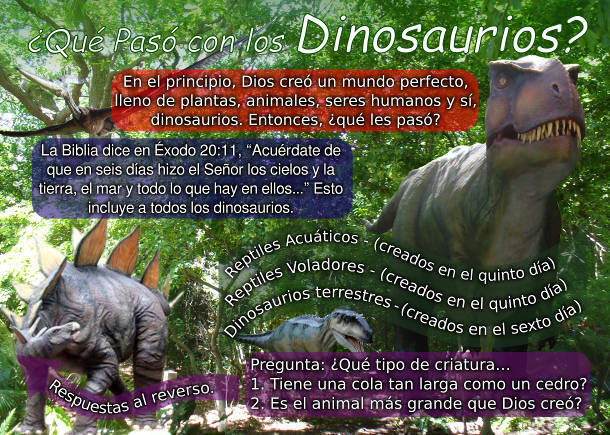 Two of each kind of dinosaur (there were probably 50 different kinds) entered into the ark with Noah and his family. The average size of a dinosaur is the size of a sheep so there would be no problem with fitting them on the ark. After the flood all the animals got off of the ark and repopulated the Earth. 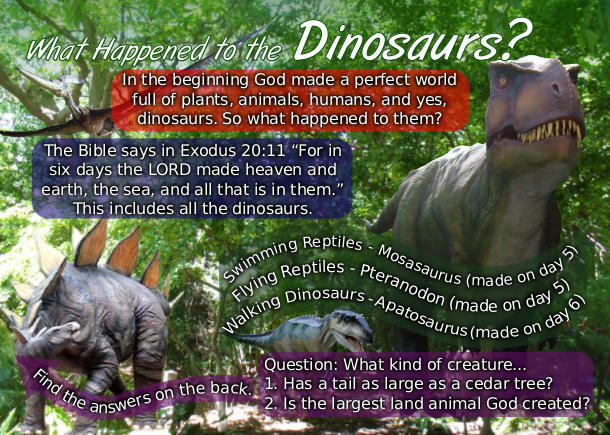 There was some dinosaurs before the flood that were fighting and eating each other but it was not until after the flood that the Bible specifically mentions animals becoming afraid of man. Genesis 9:2"And the fear of you and the dread of you shall be upon every beast of the earth, and upon every fowl of the air, upon all that moveth upon the earth, and upon all the fishes of the sea; into your hand are they delivered." If dinosaurs were on the ark why are they not around today? The reason you do not see dinosaurs in downtown Milwaukee is the same reason you do not see bears in downtown Milwaukee. When humans come in they drive the wild animals from the land or hunt them. Since most of the city is covered with concrete or buildings the wild animals typically do not come back. Before 1842 dinosaurs were known as dragons. 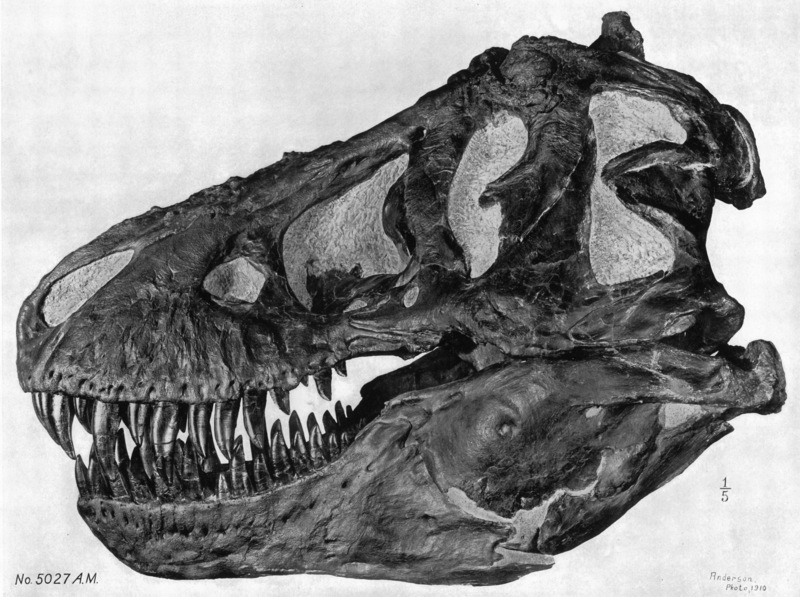 The word 'dinosaur' literally means 'terrible lizard' and was invented in 1842 by Sir Richard Owen. Before that time they were known as 'dragons'. There are dragon legends from all over the world. The Chinese zodiac has 11 regular animals and a dragon. The Ishtar Gate in Babylon contains bricks with images of tigers, bulls, and dragons. 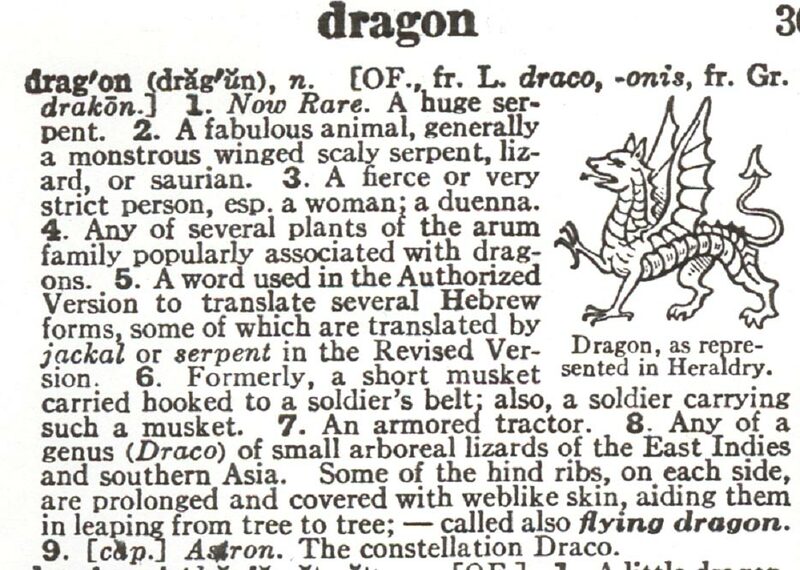 The first definition of 'dragon' in a dictionary from 1946 is: “Now rare. A huge serpent.” Over the years people have made up legends about talking dragons, or other made up stories, but the dragon was a real animal that lived with man. 1. Has a tail as large as a cedar tree? 2. Is the largest creature God created? Behemoth is the largest land creatures God made, his belly is the largest part of him, and he has a tail the size of a cedar tree. 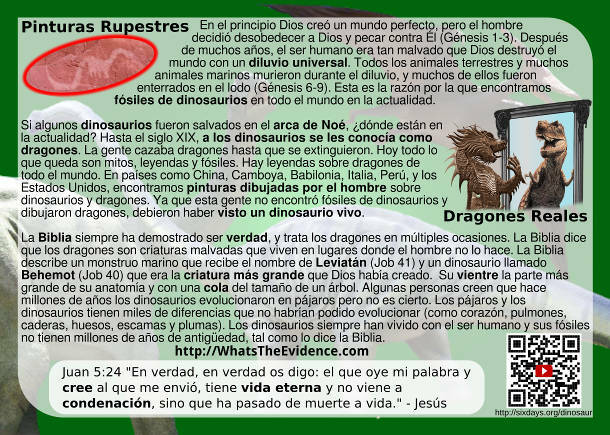 The Bible is the most historically accurate book in the world and it talks about dragons many times. It describes them as fierce creatures that live in places where humans do not. Sometimes in the KJV Old Testament the word 'whale' can also be translated dragon. 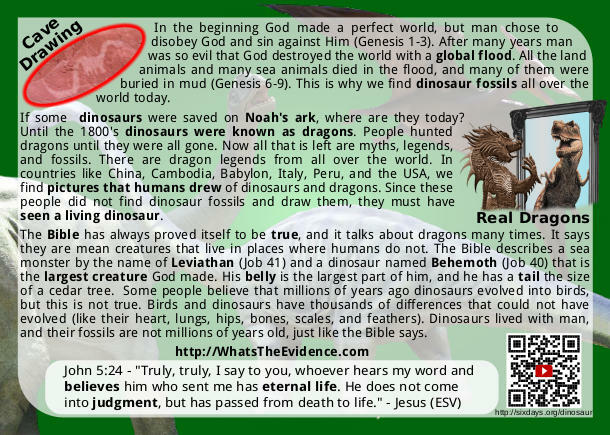 The Bible describes a dragon like sea monster by the name of Leviathan (Job 41) and also describes a sauropod dinosaur named Behemoth (Job 40) that is the largest of the creatures God made, his belly is the largest part of him, and he has a tail the size of a cedar tree. 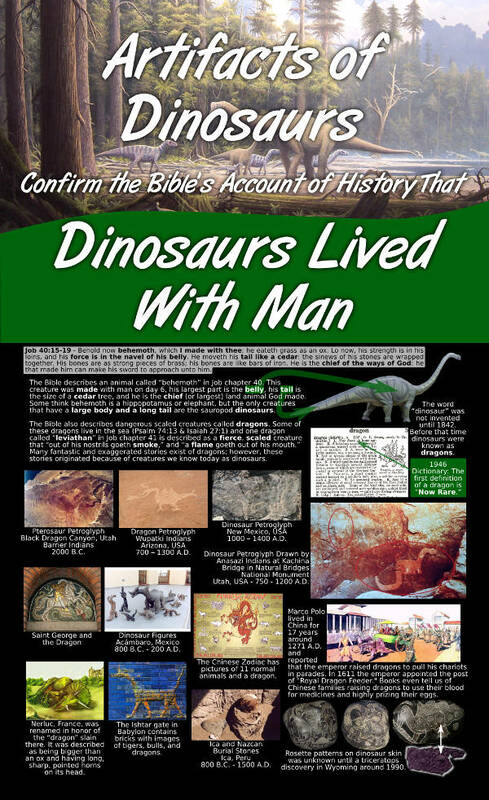 Some people think dinosaurs lived millions of years ago but this is inconsistent with the clear teaching of the Bible and is contrary to much science. Carbon dating is used to date things that were once living but it can only read back at the most 60,000 years, not millions of years. Other radiometric dating methods can be used to date igneous or metamorphic rock but these methods have been proven to be inaccurate. The only thing we can rely on is God's word. God used eyewitnesses to write down history so we can learn from it. Those eyewitnesses saw animals we now call dinosaurs. When reading a history book it is more logical to believe the eyewitnesses than to believe someone who was not there. Genesis 1:21And God created great whales, and every living creature that moveth, which the waters brought forth abundantly, after their kind, and every winged fowl after his kind: and God saw that it was good. Psalm 44:19 Though thou hast sore broken us in the place of dragons, and covered us with the shadow of death. Psalm 74:13 Thou didst divide the sea by thy strength: thou brakest the heads of the dragons in the waters. Isaiah 13:22 And the wild beasts of the islands shall cry in their desolate houses, and dragons in their pleasant palaces: and her time is near to come, and her days shall not be prolonged. Isaiah 27:1 In that day the LORD with his sore and great and strong sword shall punish leviathan the piercing serpent, even leviathan that crooked serpent; and he shall slay the dragon that is in the sea. Isaiah 35:7 And the parched ground shall become a pool, and the thirsty land springs of water: in the habitation of dragons, where each lay, shall be grass with reeds and rushes. Jeremiah 9:11 And I will make Jerusalem heaps, and a den of dragons; and I will make the cities of Judah desolate, without an inhabitant. Jeremiah 10:22 Behold, the noise of the bruit is come, and a great commotion out of the north country, to make the cities of Judah desolate, and a den of dragons. Jeremiah 14:6 And the wild asses did stand in the high places, they snuffed up the wind like dragons; their eyes did fail, because there was no grass. Jeremiah 51:37 And Babylon shall become heaps, a dwellingplace for dragons, an astonishment, and an hissing, without an inhabitant. Ezekiel 32:2 Son of man, take up a lamentation for Pharaoh king of Egypt, and say unto him, Thou art like a young lion of the nations, and thou art as a whale in the seas: and thou camest forth with thy rivers, and troubledst the waters with thy feet, and fouledst their rivers.